Light emitting diodes (LED) are characterized through their longevity, stable colour temperature and constant luminance. 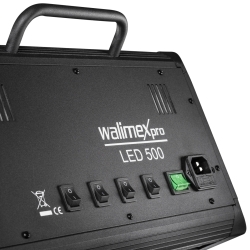 The 500 diodes provide an excellent light output, though the heat development is reduced to a minimum. The Fluorescent Light is particularly helpful, when you would like to illuminate bigger areas such as rooms, furniture or similar, because much more power is needed for this purpose. 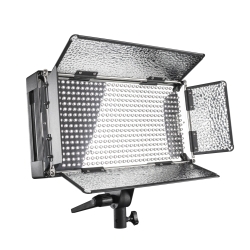 With 6200 Kelvin daylight temperature, the device is also suitable for video and photo shootings. 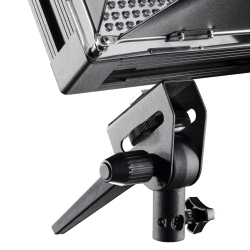 The Brightness can always be adjusted through rocker switchs in 4 commensurate parts due to your requirements. 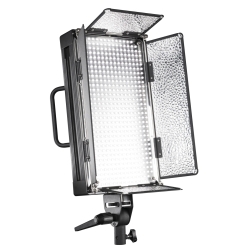 The high operating frequency provides a homogeneous and soft continuous light without ‚flickering‘. 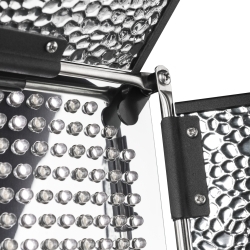 The barndoors ensure a rectangular illumination and a shadow-free light distribution. 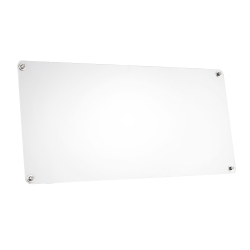 Through the aluminium housing, the Fluorescent Light is very lightweight and can be stored and carried easily. 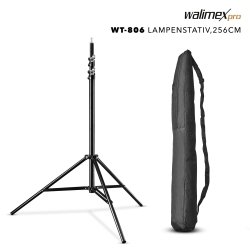 The walimex WT-806 Lamp Stand 256cm is a high-quality solution for studio photographers. 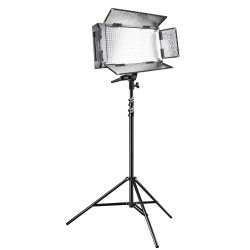 The excellently processed stand can be used portably and flexibly with a net weight of approx. 2165g and a transport size of approx. 109cm. 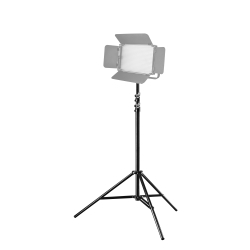 You can use studio flashguns and reflectors up to a weight of 6kg on this stand. 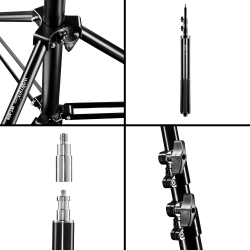 The spring suspension provides the necessary reliability when lowering the individual stand elements. 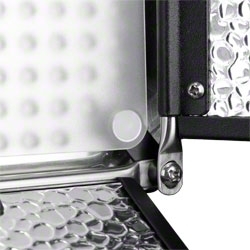 With the standard spigot connection 5/8 inch and 1/4 inch thread the studio stand is suitable for all common studio flashguns and lights.